Everybody wins at Kennedy's All-American Barber Club. Our members enjoy the comfort of knowing that they will consistently look their best by choosing to have their haircut weekly, without any additional costs. In addition, our members have a place to call their own; a place where they can feel comfortable networking, meeting like-minded people, holding a business meeting or simply relaxing. Our membership levels give everyone the opportunity to belong, some of our members love our signature straight-razor shave membership and never shave at home (can you imagine?). 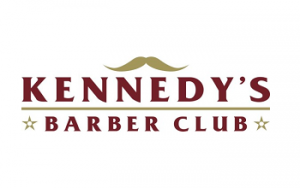 Our family membership allows Moms and Dads to share the Kennedy’s experience with their children, while adding great value to the family budget. Our highly-trained barbers will ensure that your children look and feel their best everyday by teaching superior grooming techniques that will follow them all the way into adulthood. Your Equity - Membership makes your business more valuable and more scalable. Owner Operator: Our owner operator franchisees will lead a group of grooming professionals and membership sales consultants while also hosting members in a productive and exciting environment. As the owner operator, our franchisee will have the opportunity to host and network with club members on a daily basis. The owner operator will lead our grooming consultants and membership sales consultants into a successful performance model appropriate for the brand. Absentee Owner: Our absentee franchisees usually rely on a quality general management team to carry out and deliver all necessary operational procedures. The absentee owner directs the general manager by using performance and membership models to set goals for staff. No Prior Barbering Experience Necessary!